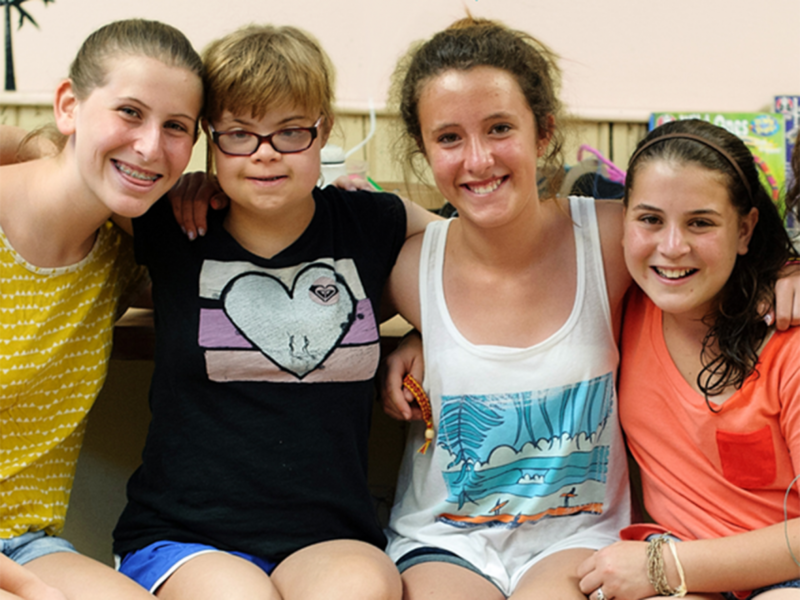 A helpful guide for finding the right Jewish camp for your child with disabilities. Take a few minutes and think about the type of environment in which your child thrives. What kind of program will benefit them the most? What kind of experience are you and your child expecting from the summer? The right camp for your child becomes an extension of your home and your family’s values. Summer overnight camp is about so much more than campfires and color war. It’s a chance for kids to explore who they are and who they want to become. The Foundation for Jewish Camp offers several opportunities to make sure that every child has access to an unforgettable Jewish summer experience. We know that there is a camp out there that matches your child’s interests and meets your needs—and we are here to help you find it! First-time campers may be eligible for a One Happy Camper grant of up to $1000. For your child, Jewish camp is just plain fun. But it’s much more than that—it’s camp with a soul. Your kids will have the summer of their lives while also discovering values like independence, friendship, community, fairness, diversity, giving back, inclusion, integrity, collaboration, and heritage. Jewish camp is packed with action: boating, basketball, filmmaking, rock climbing, cooking, archery, painting, drama, dance—you name it! Camp promotes your child’s individual growth in an enriching Jewish environment. At camp, kids have cool, Jewish role models who inspire confidence and independence, guiding your child to think creatively, build self-esteem, listen and communicate more effectively, and discover interests and talents. Camp activities emphasize leadership skills. There’s a Jewish camp for everyone—no matter what your background—where your child will have fun, be comfortable, learn more about themselves, and explore their Jewish identity. The impact of overnight Jewish camp is immediate and lasting, value their heritage, are engaged in their communities, and support more causes throughout their lives.